This sign is for Rabbits For Sale. The sign’s colors are orange, black and white. 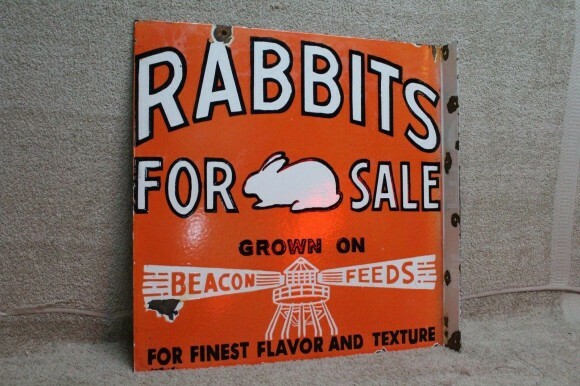 The text on the sign reads: Rabbits for sale grown on Beacon Feeds our finest flavor and texture. The sign shows a rabbit in the centure surrounded by text on a flange sign.